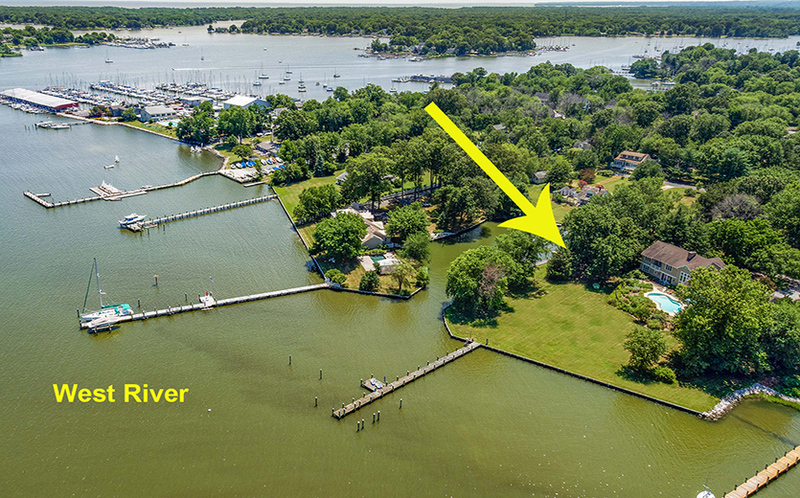 This is the perfect Galesville waterfront home whether you cherish your privacy or enjoy entertaining your friends and family! 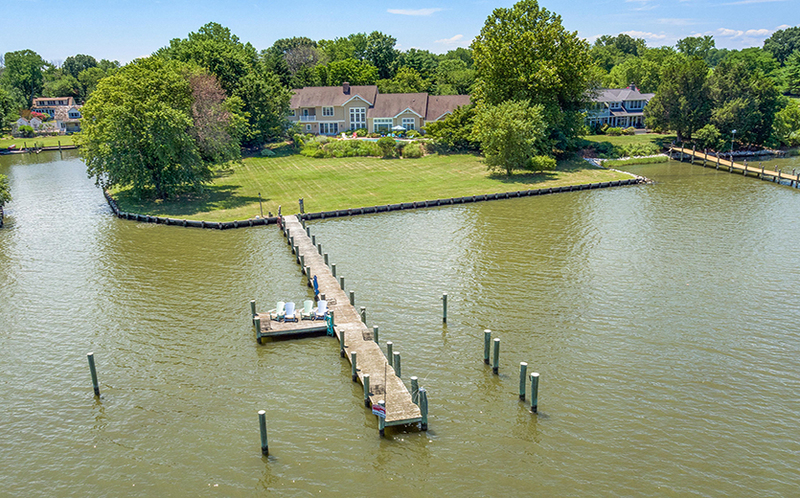 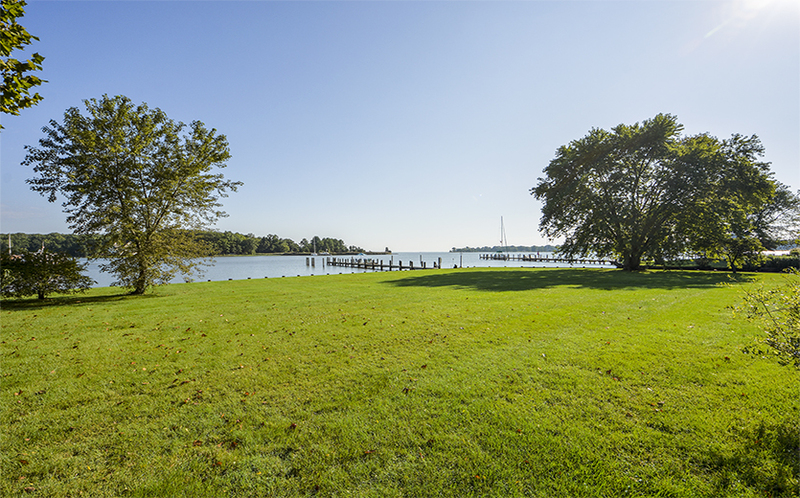 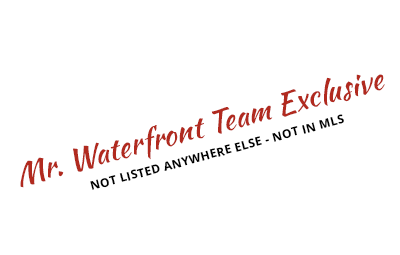 Located where the West River meets the Chesapeake Bay, this property has 490 ft of waterfrontage, fantastic water views, and two private docks. 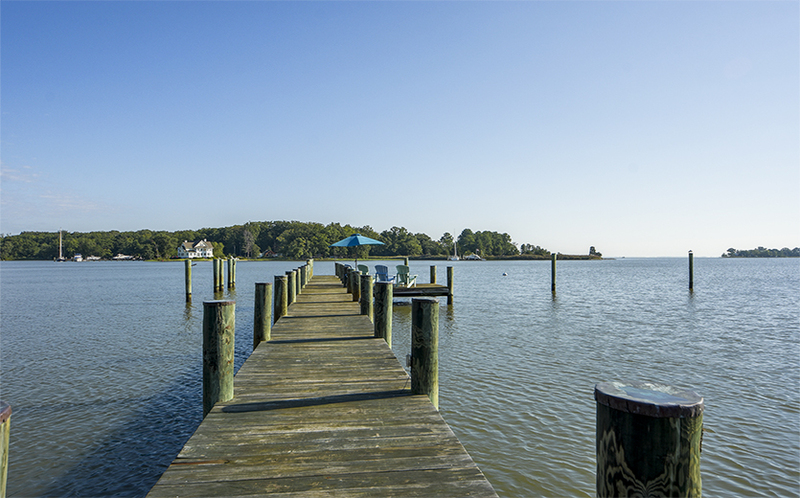 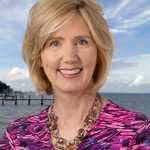 Be on your boat on the Bay in 10 minutes! 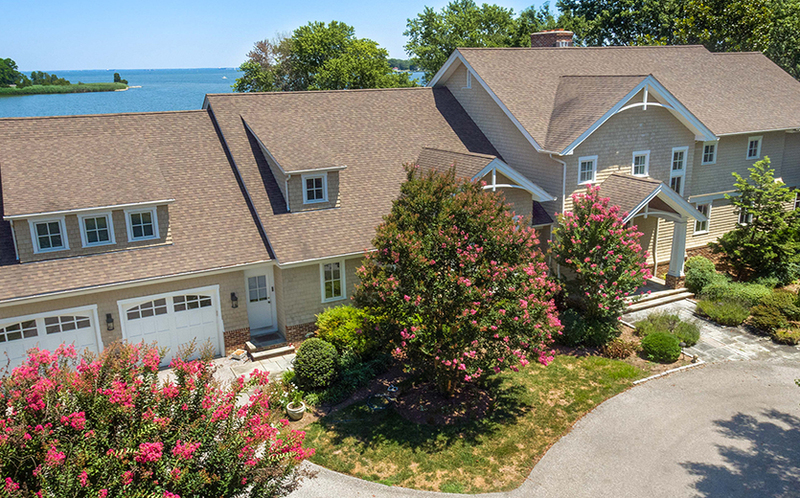 The 6,500+ sq ft, Chesapeake Bay shingle-style home is complete with waterside swimming pool, large deck area, and level yard. 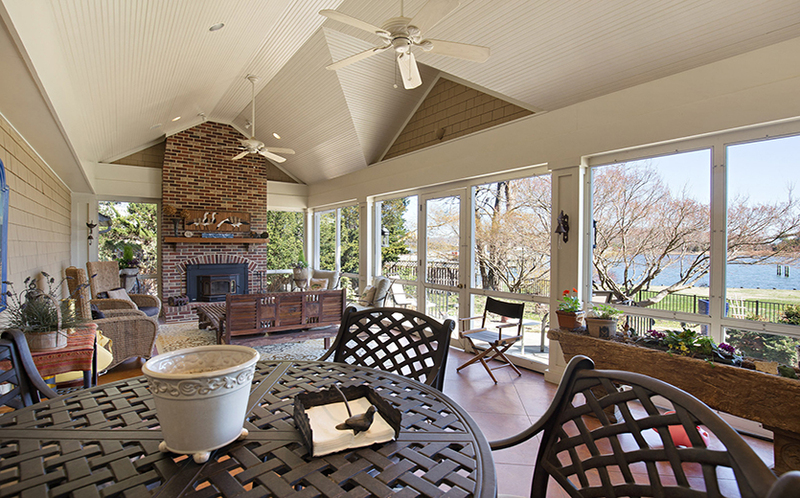 There is also a patio with fireplace. 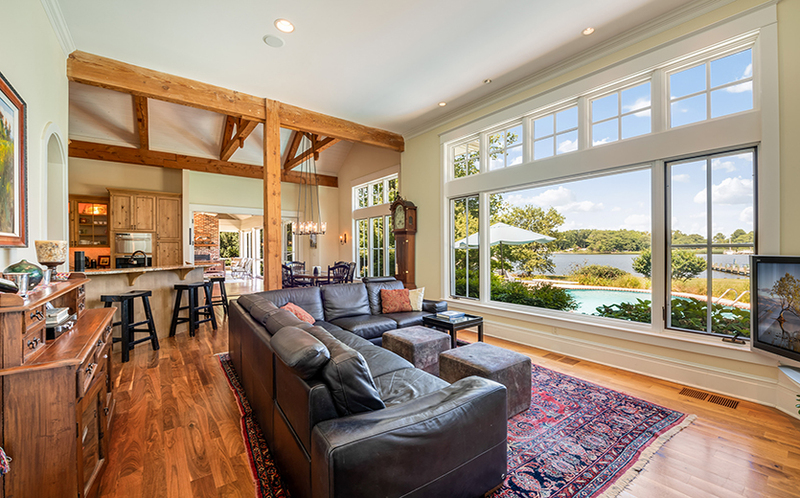 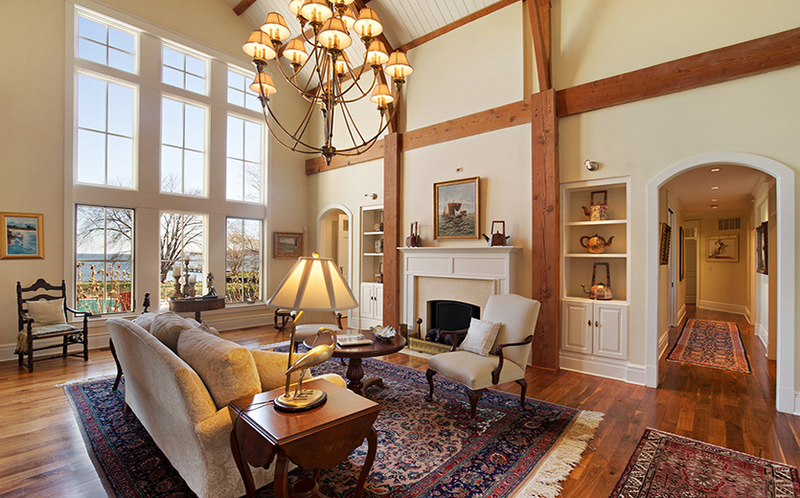 The main living area features high ceilings that accentuate the post & beam construction, a wood-burning fireplace, and a wall of glass with stunning views out to the Chesapeake Bay. 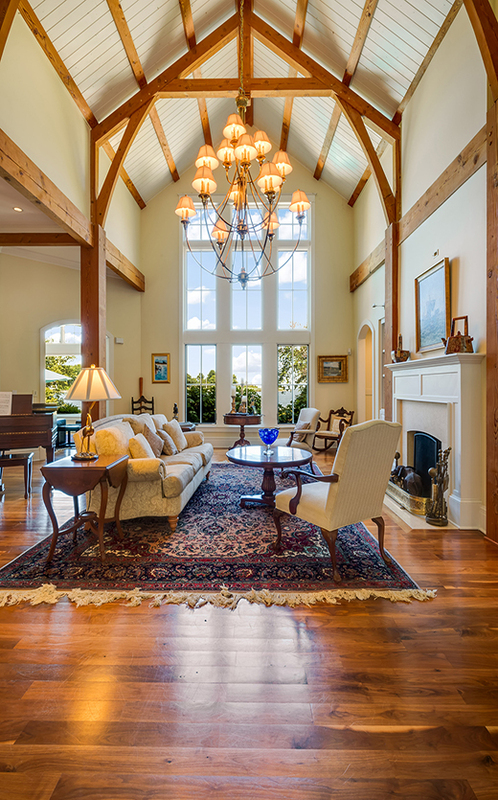 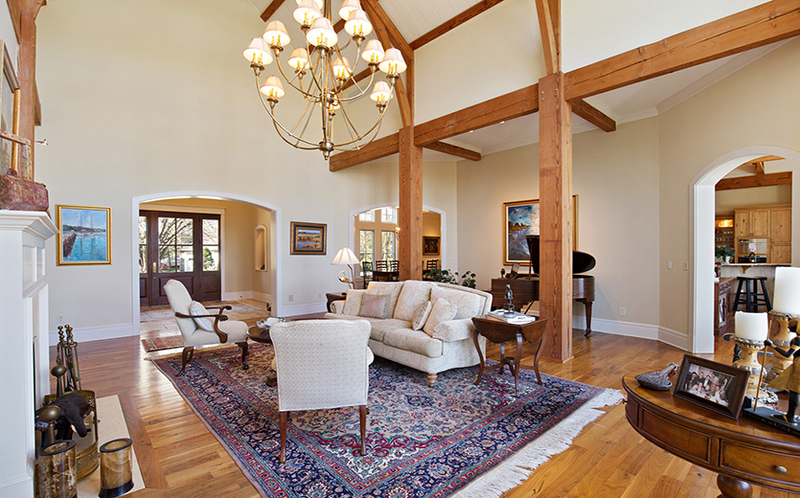 Just off the main living room is a more casual seating area with the same spectacular water views. 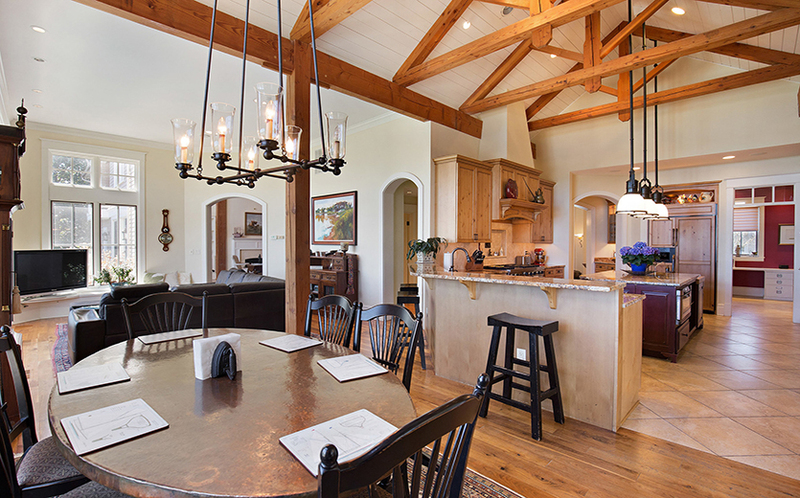 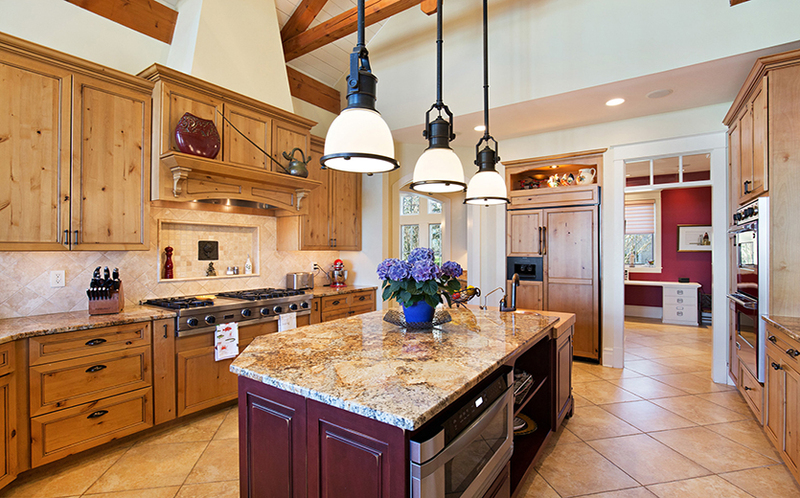 The chef’s kitchen has granite counters and gorgeous alder wood cabinets, a copper farm-house style sink, copper prep sink, tile floors, and a big center island. 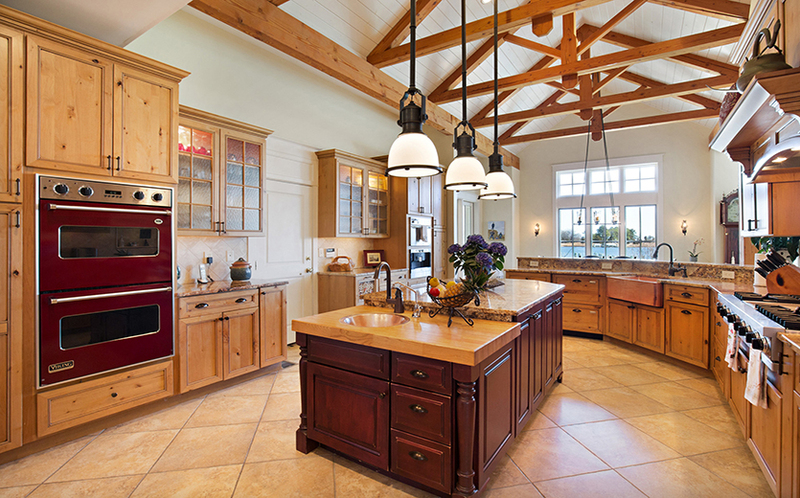 The top-of-the-line appliances include a Viking Professional double oven and six-burner gas stove with hood, two Fisher and Paykel dishwashers, Miele Steamer and Espresso Maker, and a Kitchen Aid refrigerator. 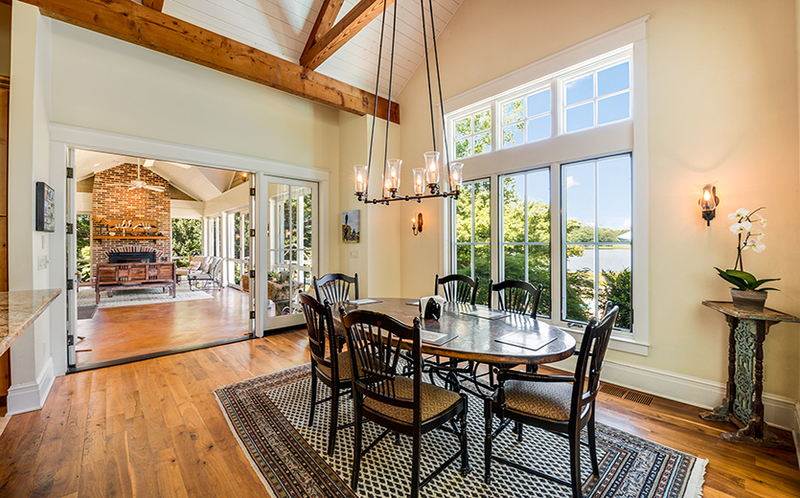 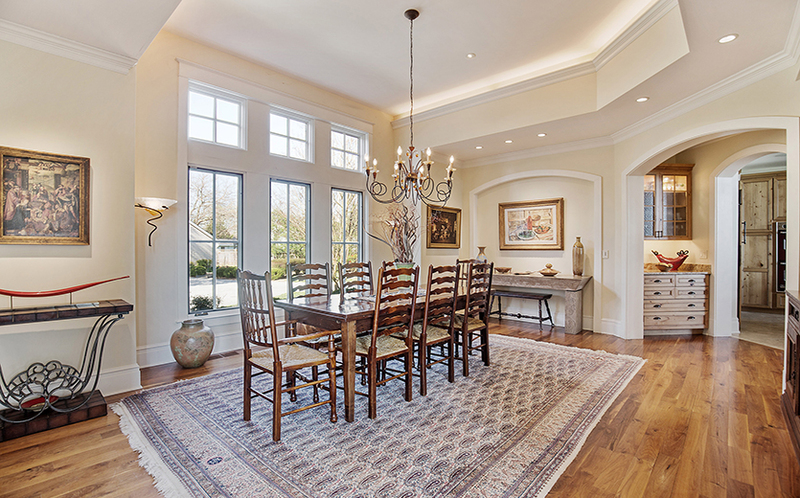 The kitchen includes an informal dining area with water views; there’s also a spacious formal dining room with cherry floors, beautiful crown molding, high ceilings and a hand-crafted, built-in sideboard. 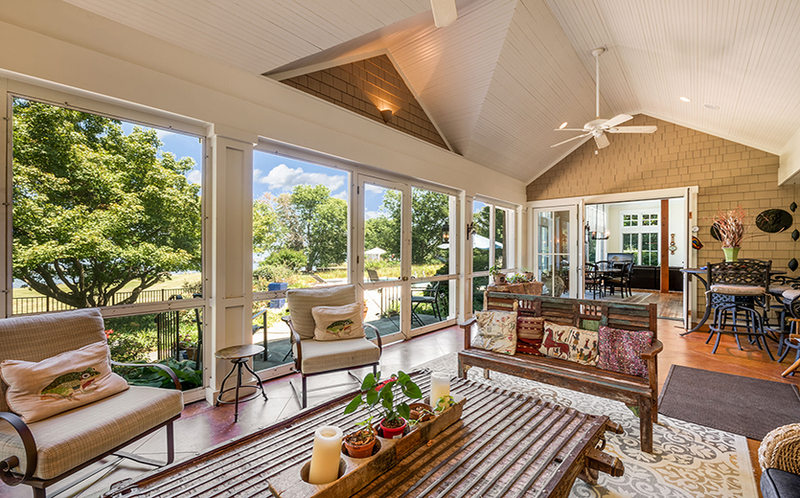 Step out from the kitchen to the large, three-season porch with wood-burning fireplace. 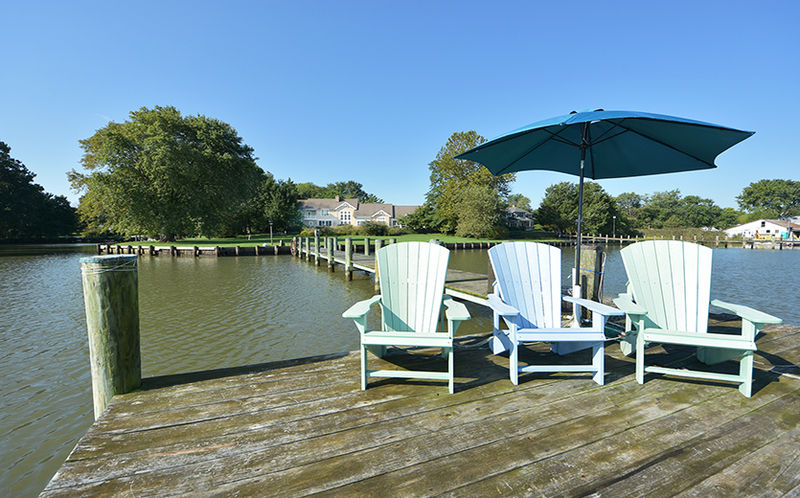 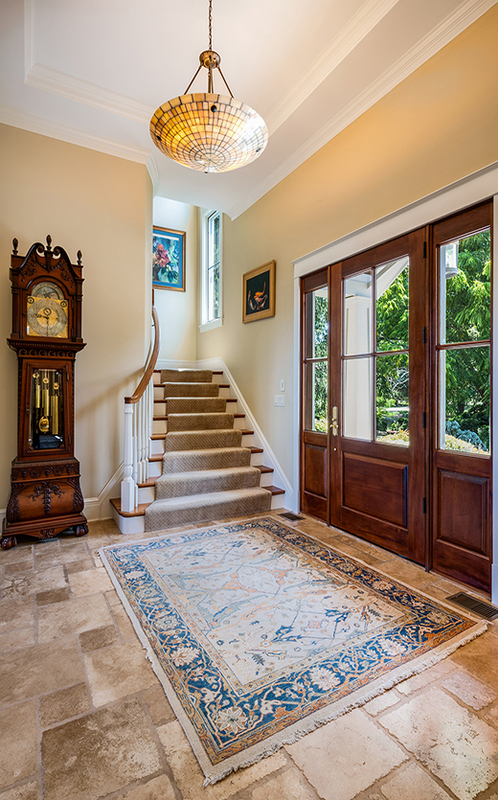 On the other side of the living room there is a billiards room with reclaimed chestnut floors, cherry paneling, remarkable water views, and access to the waterside deck and in-ground pool. 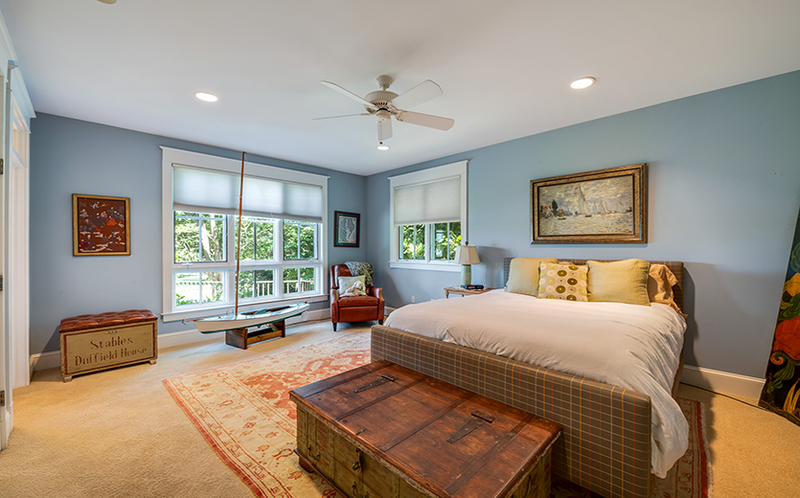 The main level features a master bedroom suite, with private bathroom, overlooking the lush landscaping out to the water. 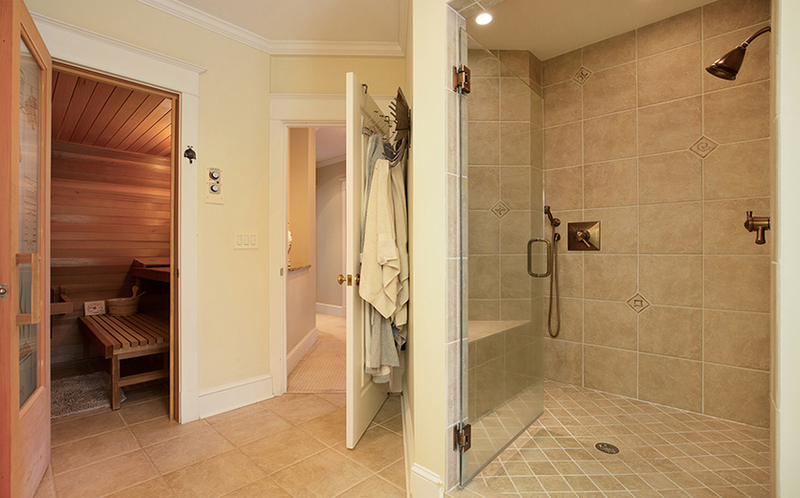 The second bedroom on this floor also has an ensuite bath. 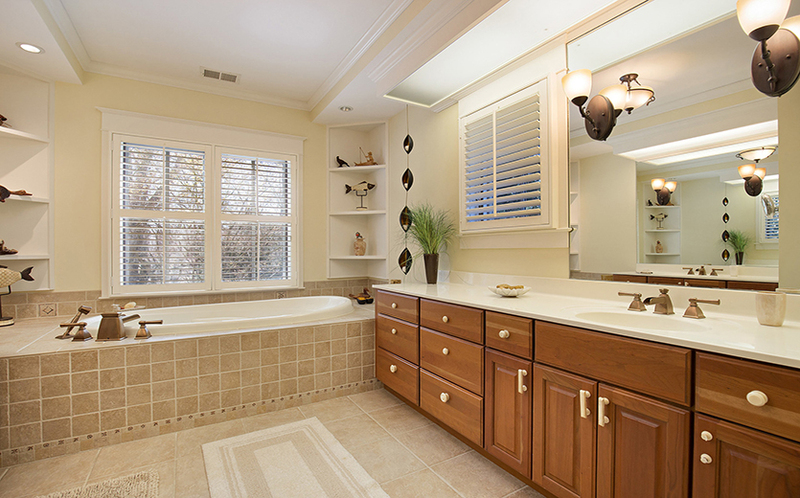 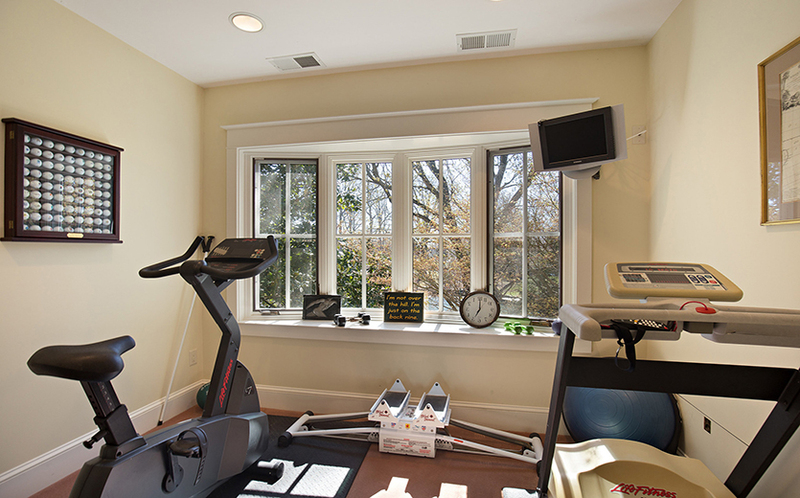 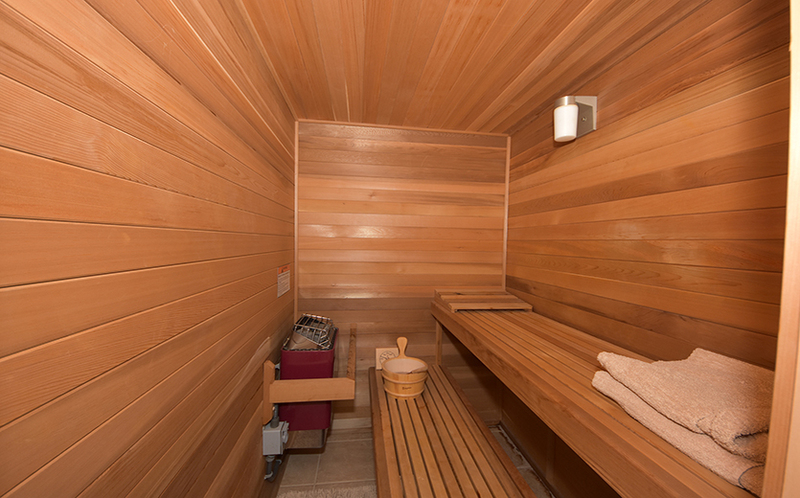 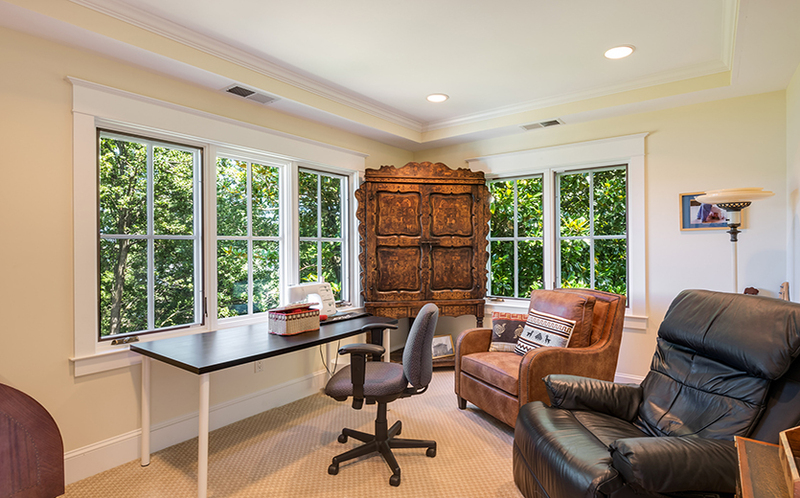 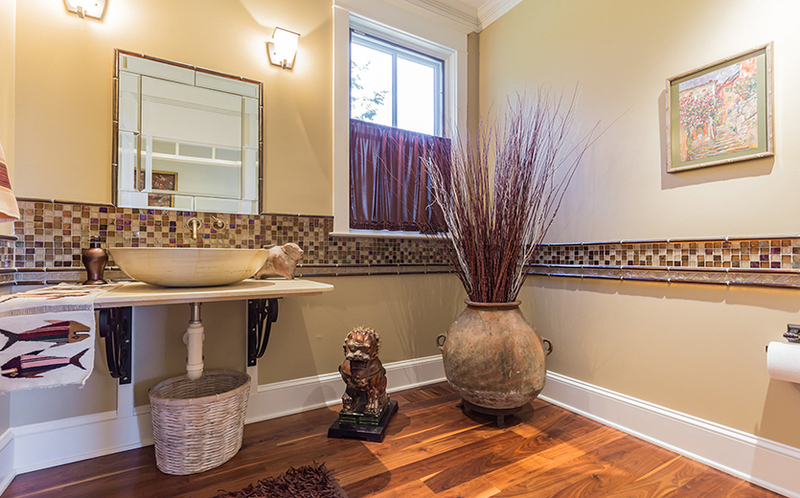 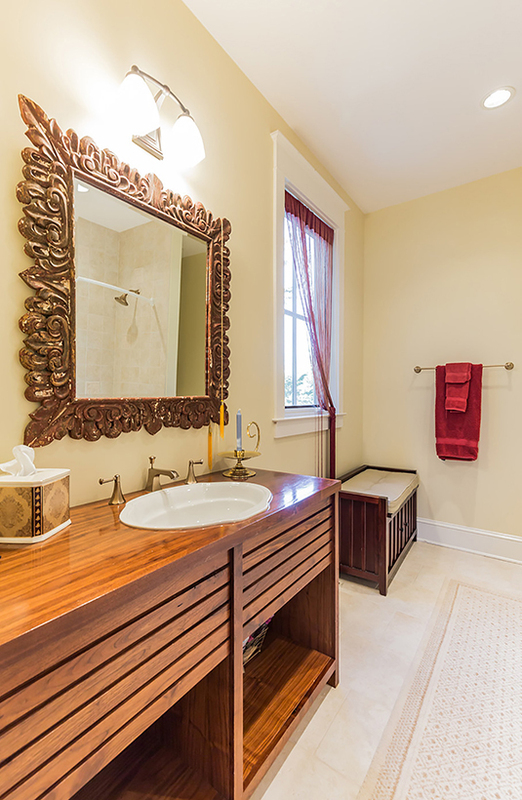 The main level includes two powder rooms, a laundry room, and a home office. 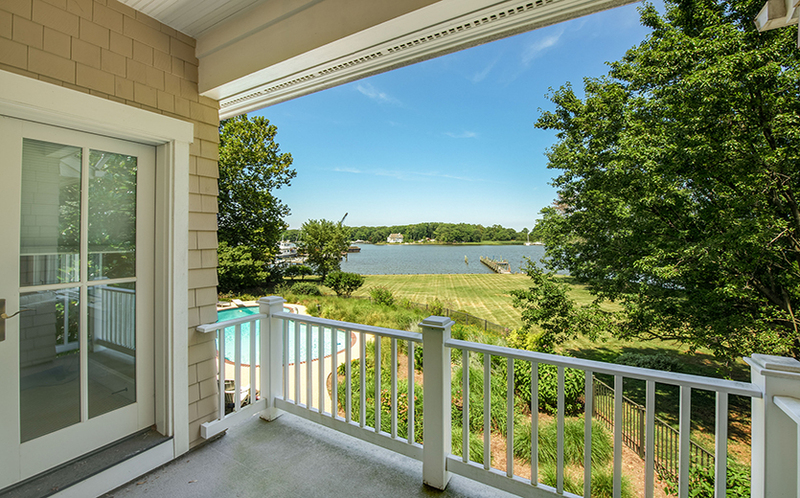 Upstairs you will find the ultimate master suite with private waterside balcony – it’s the spot for enjoying your morning coffee or a cool drink in the afternoon. 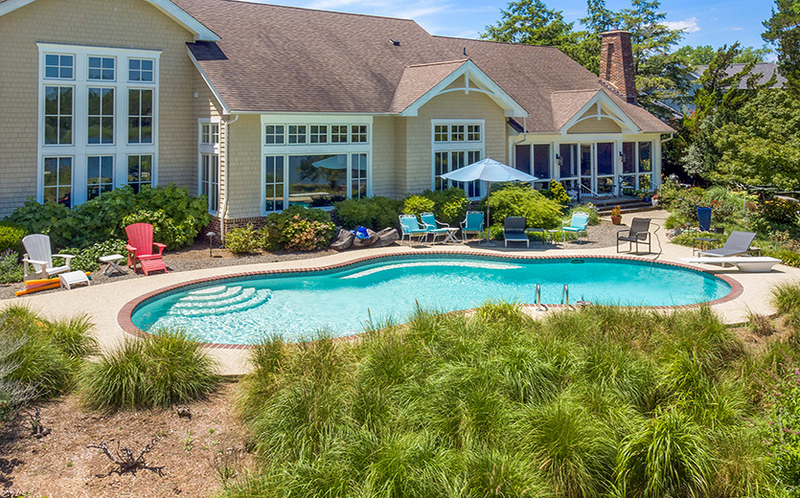 Luxuriate in your private quarters, including a spacious bedroom with custom cabinetry and gas fireplace, sauna, large soaking tub, sitting room, laundry, and exercise room, all with views of the protected cove and shoreline. 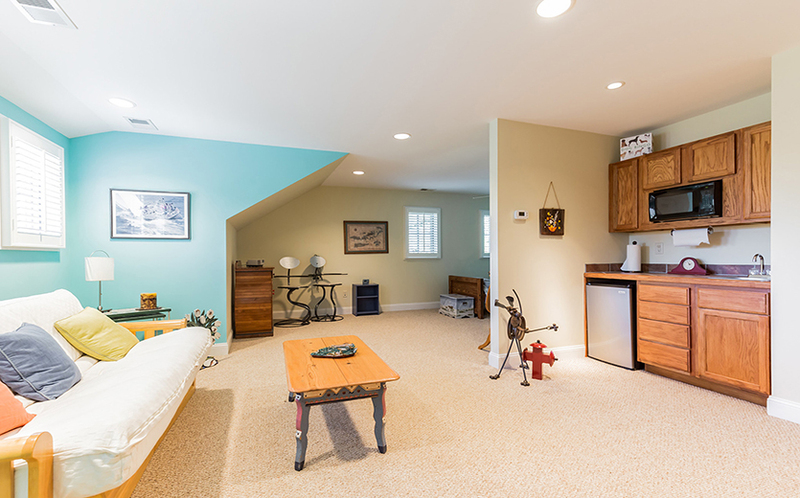 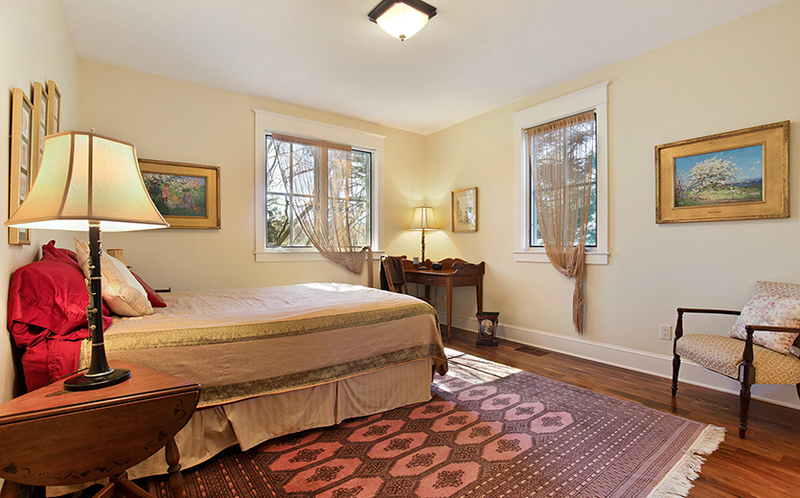 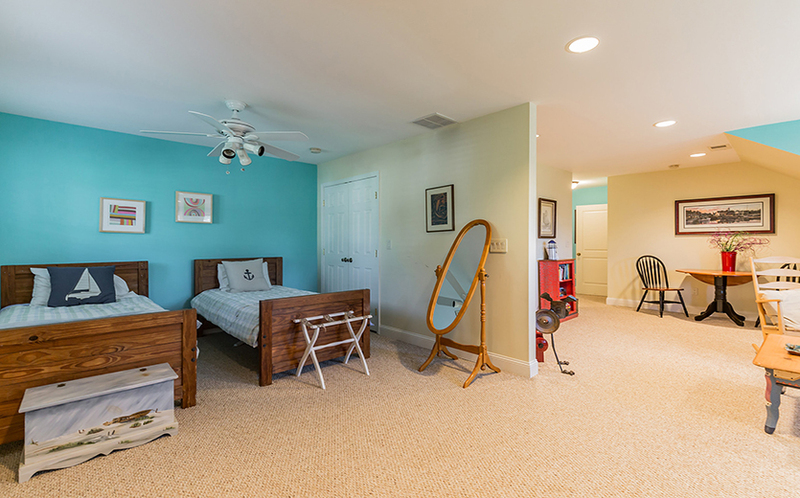 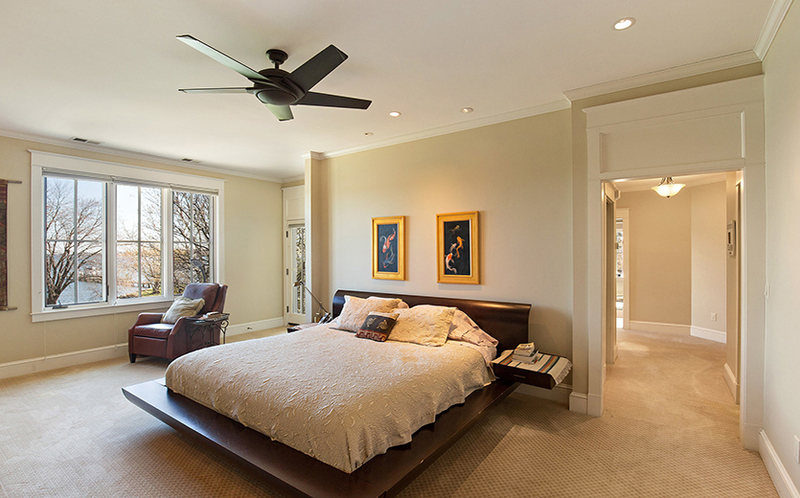 Adjacent to the bedroom is a bonus room; great for a playroom or extra storage. 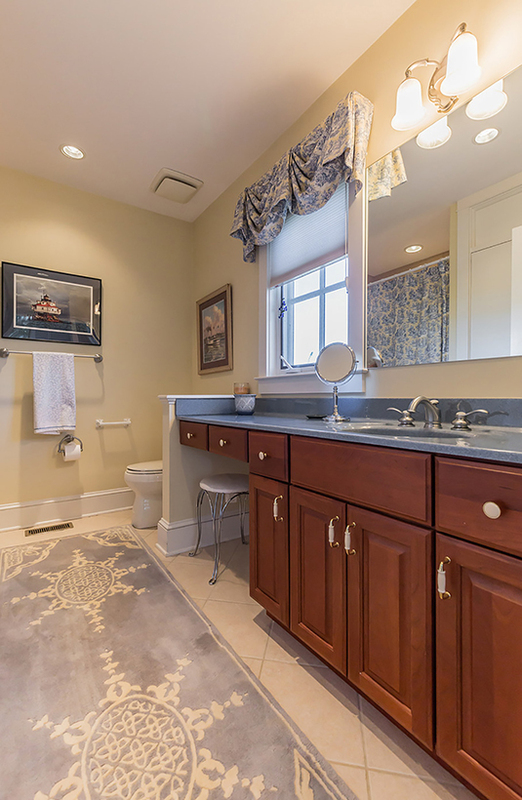 An in-law suite with optional separate entrance includes a bedroom, full bath and efficiency kitchen; perfect for your guests after a day on the water. 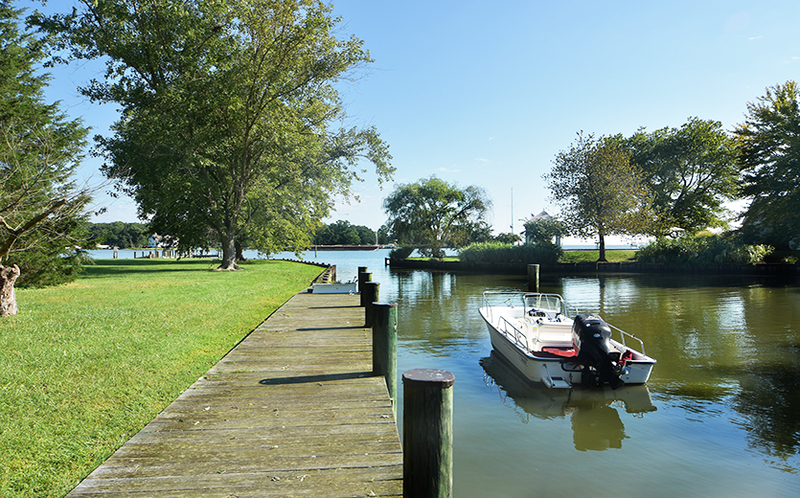 Boaters, in particular, love the Galesville location because of the good anchorages yet easy access to the Chesapeake Bay. 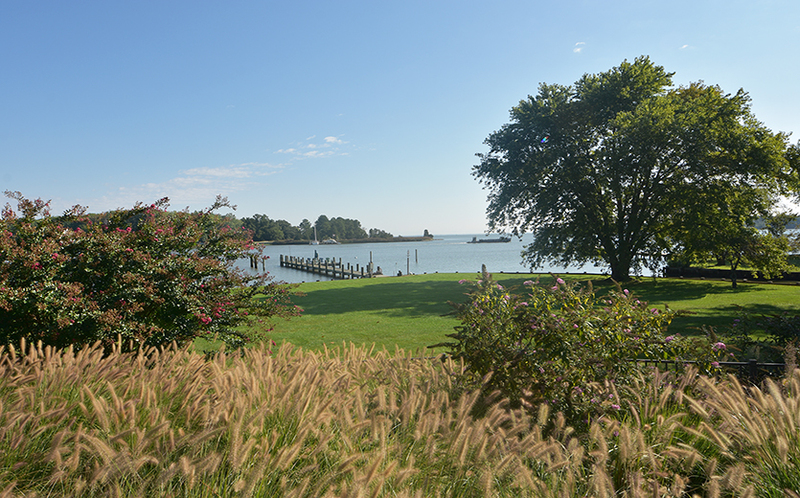 This tranquil setting is a super location if you commute to Washington, Baltimore, or Annapolis. 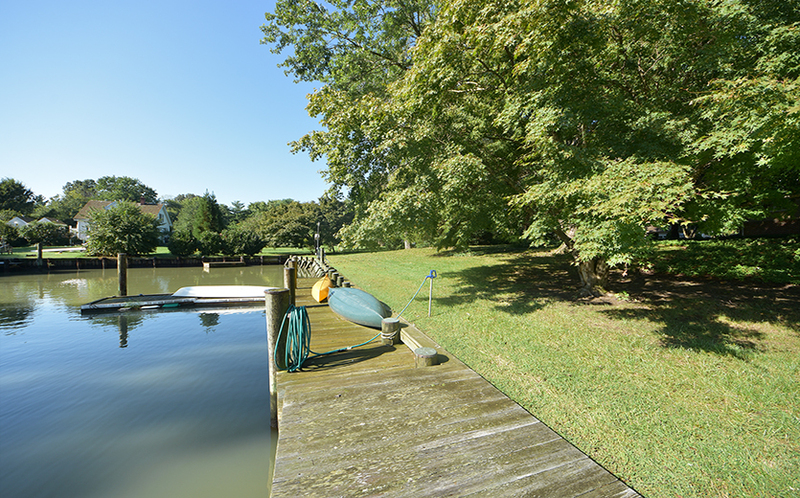 Feels like worlds away, but it’s just a 30 to 40 minute drive to major hubs or BWI airport.